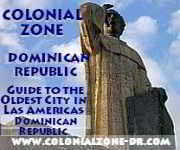 Dominican Republic is one of the worlds most geographically diverse nations for its size (bet you didn't know that). There is so much to do and see in our small but diverse country. We have lakes that are calm and clear. There are rivers that can go from looking glass smooth to raging rapids with plummeting waterfalls and cool, refreshing pools. We have some of the most beautiful white and dark sand beaches in the world. There are rugged mountain peaks; in fact we have the highest mountain in all the Caribbean. We also have a point that is below sea level with a large salt water lake. We have barren desert-like cactus filled plains and lush green tropical valleys. There are beautiful pine forests, tranquil palms swaying in the breezes and dense rain forests. Baseball is our most beloved team sport. Dominoes are played on a street corner or in a park. We have some of the best golf courses in the world. One of the Dominican peoples most favorite pastimes I would have to say is taking it easy. Being with friends and family. Sitting outside in the park or on the porch visiting and talking. Sharing a cold beer at the local Colmado with the neighbors. This is our beautiful island in the Caribbean. There is something here for all. Why wait until you arrive at your destiny to make plans? Plan ahead. Many of the popular tours sell out well in advance. This way you can lock in the price of the tour you want. Don't be surprised later when the price or exchange rate has gone up. When you get to your destination you want to play and explore. Not waste time making decisions on where to go and what to see. After making your plans only to find that the excursion provider is not licensed or is a fly-by-night provider without references and has a questionable safety record. Feel safe, plan ahead and enjoy! We are located in the Dominican Republic province of Hato Mayor del Rey in the foothills of Eastern Cordilla, just 101km east of the capital, Santo Domingo. Our ranch is located heart of the country on a working farm with fruit trees and livestock. We offer an adventure tour with expert guides like no other. The tour starts off with breakfast offering local delights. After eating you suit up to embark your journey. We start out on horseback, winding through the limestone rock formations in the southeast border of Los Haitises. We continue on into the reserves rain forest to the Cave Fun Fun where you rappel into one of the chimneys of this limestone cave. From here your adventure continues into the depths of the earth marveling at all the rock formations. Your journey takes you through an underground lake where you exit into the lush vegetation of the forest. Here you will go back in time while inspecting the giant boulders covered in ancient Taino Indian petroglyphs and pictographs. You will then return to the Ranch on horseback for an impressive buffet of local delights and native drinks. Your visit with us will leave you with memories of a lifetime. Take a day trip with all your friends and family of all ages and experience by Horseback. Ride a horse along tropical white-sand beaches on this day trip. Friendly guides and amazing horses will take you from Rancho Caribeño through some gorgeous scenery for a day you will never forget. Wake before dawn and see the sunrise over the beautiful landscape of Higuey and Bavaro. See the green sugar fields and the turquoise Caribbean Sea while floating in your own Hot Air Balloon with a private guide. After the ride of a lifetime enjoy a scrumptious Champagne breakfast. The balloon can hold up to 10 people. This excursion leaves from Punta Cana and Puerto Plata, Dominican Republic and takes you on an incredible 9 to 10 hour excursion. Go where the tour buses can't go. Drive along back country roads, crossing rivers, streams and sugar cane fields. Visit small colorful villages, a school and see how the local people live. Have a cup of coffee in a typical Dominican home, a buffet lunch and swim at the river. This tour is a must do while you are visiting Dominican Republic if you want to see the countryside that most never get to see. A half-day stick-shift dune buggy adventure from Punta Cana, Dominican Republic. You zip through the beautiful countryside traveling past colorful houses and across the breathtaking landscape of banana plantations and farmland. You will pass through the villages of La Caiba, Macao and Macao Beach. Hop on a dune buggy and explore the true Dominican Republic! White Water River Rafting on Yaque del North River - Puerto Plata, Dominican Republic. Adrenaline junky's welcome! Have an exhilarating adventure. Prepare for a pure adrenaline rush as you tackle the rapids of the Yaque del North River in the lush tropical mountains of Dominican Republic. A Dominican style buffet lunch will be served to end an absolutely superb day! Bavaro Splash Speedboat Ride - Punta Cana, Dominican Republic. Take a day out to truly discover the beauty of the Dominican Republic's surrounding waters! Drive your own speedboat to a designated snorkel site where the magic will unfold. Your experienced Aquatic guides will point out the main points of interest, and you will soon discover where the true beauty lies, beneath the sea! Dominican Republic's premier Gold Panning adventures. 1/2 day to multiple day trips gold prospecting and panning in Jarabacoa, Manabao, Miches and Blanco.